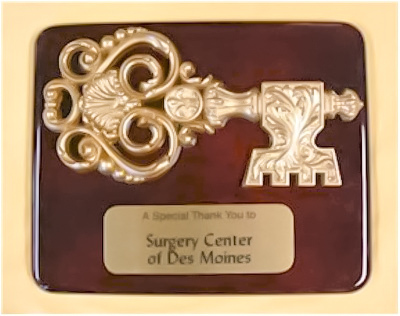 - Custom Engraved Key Plaque Award. 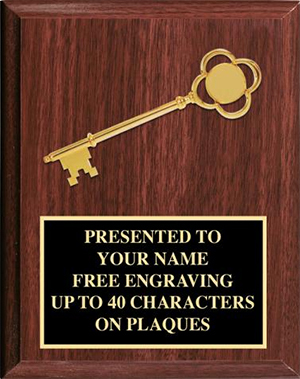 This special commemorative plaque is great for honoring great achievement or recognitions. 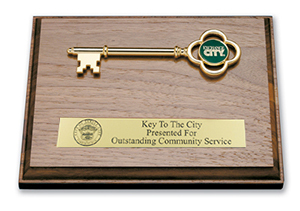 - Choose any of our keys and have them customized with your company logo and/or text and mounted on a wall plaque, like we did for USHER. 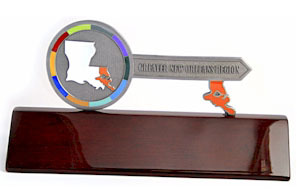 - Full Color Engraving Available. 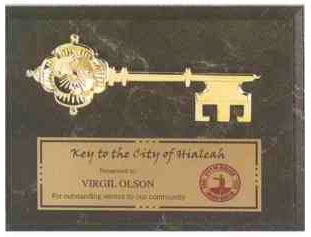 This award plaque is will make your Key to the City honoree feel welcome to your community.